The rondo is a familiar sight at FC Barcelona training, and is an exercise where players can demonstrate their quality and skills during the sessions at the Ciutat Esportiva Joan Gamper. 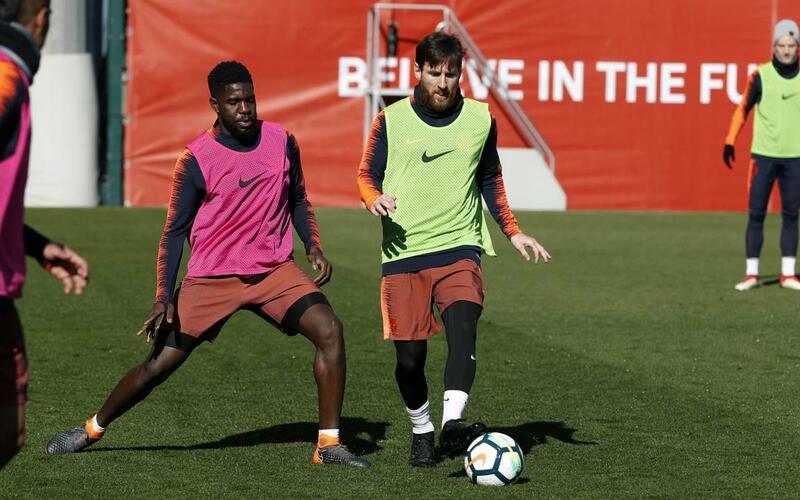 On this occasion, Lionel Messi and Samuel Umtiti had to recover the ball, moving from one side to the other, and up against the likes of Sergi Roberto, Rakitic, Yerry Mina and Jordi Alba. Did they recover the ball easily? How long were they in the centre of the circle? Find out in this exclusively recorded video.